Home MMA News Breaking News: Vitor Belfort Is Not Retired Anymore! “Free Agent” Vitor Belfort Speaks To Different Promotions, Plans MMA Comeback In 2019! 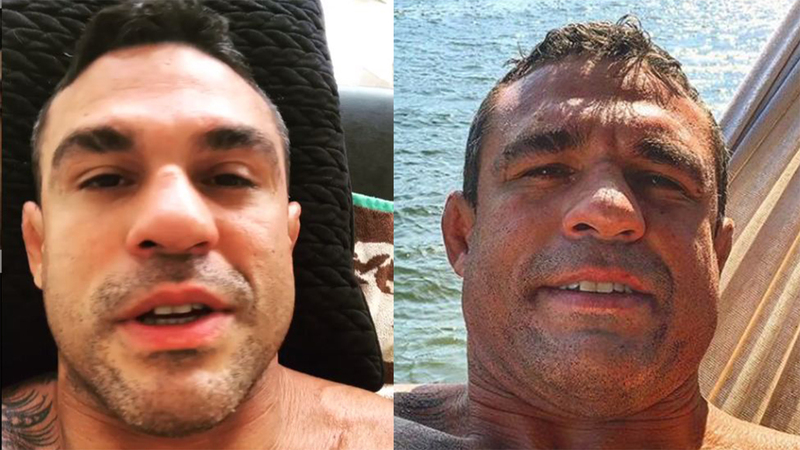 Vitor Belfort’s brief retirement has come to an end. “The Phenom” spoke on Ariel Helwani’s MMA show on Monday, where he announced his plans for MMA comeback in 2019! The date of the return, promotion, and potential rival are still unknown. “I could not choose a better time for me being a free agent,” Vitor Belfort said. The Brazilian fighter also referenced the rise of Rizin FC, ONE Championship, and Bellator MMA. As well as you know, all these promotions recently signed many great former UFC competitors. Vitor Belfort hopes for a positive change wherever he goes. Let’s look back. The legendary Brazilian retired in May, following UFC 224 front kick KO loss to Lyoto Machida. Since then, Vitor hinted his potential comeback several times. Belfort wrote in a recent Instagram post: “If you could choose one of those fights to happen again, which one would you like to see?”, looking back on some of the toughest opponents of his career – Dan Henderson, Tito Ortiz, Michael Bisping, Chuck Liddell, and Wanderlei Silva. The legendary Brazilian had his MMA debut at Super Brawl 12 on October 11, 1996, where he earned a win over Jon Hess after only 12 seconds via KO! Belfort is the former UFC 12 Heavyweight Tournament winner and UFC Light Heavyweight champion. “The Phenom” also won Cage Rage title in 2007. Vitor Belfort (26-14, 1 NC MMA, 15-10, 1 NC UFC) holds victories over Tank Abbott, Wanderlei Silva, Heath Herring, Randy Couture, Rich Franklin, Luke Rockhold, Dan Henderson, Nate Marquardt, and many others. It looks like this 41-year-old gladiator doesn’t plan to hang up his gloves yet. What do you think, who will be his next rival? Which promotion will sign this legend?